In contrast with the Ultimate Collector’s Edition extended cut served up by filmmaker Ben Affleck in 2012’s darkly nuanced 153 minute release of his sophomore directorial effort The Town, the 2010 original 125 minute mainstream theatrical edit of the WB crime saga alluded much more in tone to the Prince of Thieves title of author Chuck Hogan’s Charlestown-set novel upon which The Town was based. 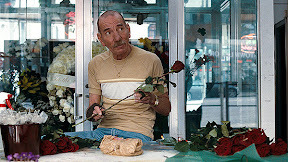 Though both versions of co-scripter Affleck’s Hogan adaptation focused on the harsh realities of life in the veritable “bank robbery capital of America,” the first cut of The Town, was considerably more optimistic than the fittingly pessimistic moral questions posed by his auspiciously existential yet ultimately bleak kidnap-themed directorial debut Gone Baby Gone. 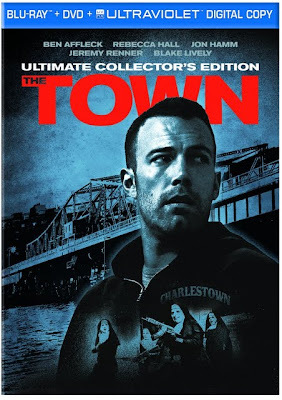 Admittedly, both Towns emphasize Affleck’s own screen role as the allegorical “Prince” among his Charlestown peer group of the bank-robbing “Thieves” whose life, future and complete trust he places in their hands from start to finish of this gripping production. 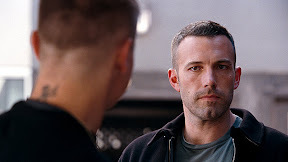 However, the longer version offers a completely different comeuppance for his onscreen alter ego Doug MacRay by seamlessly incorporating more than twenty minutes of mostly fascinating footage into this more thorough edit that Affleck favored from the beginning of the post-production process of his Bostonian opus. 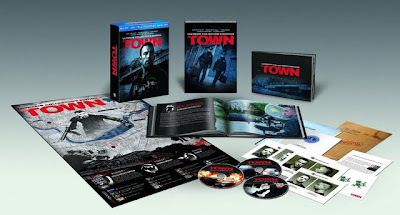 The extended cut evidenced in this three disc collectible box set (complete with Ultraviolet Digital Copy) moves the action of The Town into a decidedly different yet perhaps more realistic and richly existential direction, paying off on earlier events in a thrilling way that emphasizes “story” over fairy tale for a morally complex denouement. And similar to Gone Baby Gone, Affleck never lets you forget the fact that even though there was a “Prince of Thieves,” the prince in question was nonetheless one of darkness as opposed to light, leading to a more cyclical turn of events that fits in with the equation by revisiting an important decision made earlier on in the picture that had been overlooked in the shortened version as a piece of swift Charles Bronson-like revenge. It’s to his credit as both a storyteller as well as a filmmaker that Affleck won’t leapfrog over the actions of his antihero just because we want him to change almost as much as he wants the same dream of escape for himself. 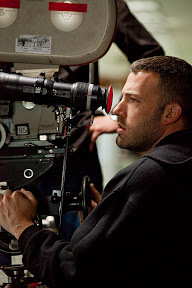 In doing so, we get a better understanding of not just what matters to Affleck as a filmmaker but also the overlapping themes that pervade and haunted his work in Gone Baby Gone as well as The Town. Furthermore, the extended running time benefits the previously shortchanged female characters played by Rebecca Hall and Blake Lively a greater sense of justice and dignity with the addition of a handful of brief scenes to make up for the previously male-centric viewpoint that admittedly flirted with borderline misogyny (particularly with regard to the treatment of Lively’s character) in the earlier cut. Incorporating a few new scenes with Lively that invoke an even stronger sense of sympathy and may have enhanced the otherwise positive reception critics had to seeing the impressive side of TV’s smiling Gossip Girl, the longer version offers a more in-depth portrait of the film’s supporting players all around. 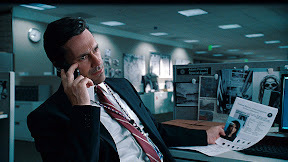 Only hinted at in the truncated edit, Affleck weaves in additional plot strands including the seedlings of a possible love triangle between bank manager Claire (Rebecca Hall), the FBI agent on her case (Jon Hamm) and Affleck’s caught-in-the-middle Doug, who finds himself drawn to the woman his partner Jem (Jeremy Renner) foolishly turned into a hostage during the bravura opening sequence robbery. Balancing out the compromised ethics of the lawman as well as the criminal in pursuing the victim of the inciting robbery, the extended edition invites greater sympathy towards a number of supporting players from those that make up their circle of associates to the previously interchangeable robbers led by lifelong best friends turned “brothers from another mother” Doug “the prince” and Jem. 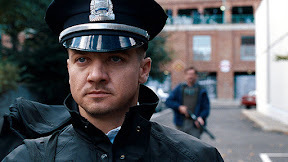 The wild card embodied by the commanding presence of Jeremy Renner, Jem dazzles and terrifies viewers in yet another Oscar caliber nominated performance following his mainstream breakthrough role a year earlier in Katherine Bigelow’s Best Picture winner The Hurt Locker. Reminiscent of Michael Mann’s Heat in terms of both subject and style, while The Town falters slightly due to its overreliance on clichés, particularly in the way it counts on character clichés to comprise the core structure, the otherwise flawless execution of superlative action sequences shot by There Will Be Blood cinematographer Robert Elswit and the completely authentic, docudrama-level turns by its flawless cast, keeps you completely compelled. Elevated by the confidence of Affleck which is undoubtedly due to his mastery of the story he wants to tell from working in all aspects of the process from screenplay to final cut, The Town is riveting from start to finish as one of the strongest American genre pictures in years. Yet while the picture is mostly enhanced by the additional twenty minutes of footage, particularly by offering a greater explanation of how the main leads handle their business once they’re home free with the loot in addition to a fascinating revelation over just how exactly the feds were tipped off on the quartet’s identities, some of the scenes take away from the crispness of the second act. Bogging down the tension of Hall and Affleck’s budding attraction that hinges on her ability not to recall where they first met, the new edition distracts us with sloppy dialogue repetition, indicating that most likely one of the scenes that introduce the exact same information were always intended to stay on the cutting room floor. Yet one of the most curious new “finds” is a longer sequence between Affleck and Hall where he flirts with getting caught due to his guilty conscience and moral sense of right and wrong by bringing her to see her hospitalized coworker who could easily identify him. While this sequence does admittedly feel a bit over-the-top given just how close he comes to serving himself up on a silver platter, it’s a fascinating turn of events that makes you appreciate one of the original cut’s greatest, subtle pieces of flirting with the enemy even more wherein Jem happens upon Doug and Claire in the broad daylight and Doug tries to come up with a calculating way to hide the tattoo on his best friend’s neck which could immediately bring everything to a halt. It’s this masterful choice to underplay the risk like a master chess player that reminds us just how skilled Affleck is as a cinematic storyteller, inviting our awe while we anticipate just what he’s capable of bringing to celluloid in the future whether it’s another existential slice of Boston crime or something different altogether. While the original cut remains the best in terms of brisk pacing, all-in-all I agree with Affleck that ultimately it’s the alternate ending that fits the story he was setting out to tell the best all along, despite risking some negative audience reaction of those who prefer “happily ever after” to the truth of what’s being presented. All in all, it’s a wonderful and thoroughly engaging boxed set collection boasting multiple versions in Blu-ray, DVD and an extended cut Ultraviolet Digital Copy, which may have been even better if viewers were able to check and uncheck scene selections from the start to give them the best of both worlds in terms of a "choose your own final cut." Although unfortunately it takes up extra shelf space with fun yet ultimately pointless duplications of film props from stick-on-tattoos to mug shots you won’t look at more than once, the beautifully constructed hardback book will surely appeal to those turned on by behind the scenes knowledge. 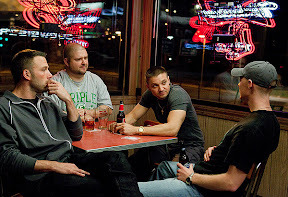 While perhaps The Town’s ideal partner can be found in Chuck Hogan’s original source material in the novel which centered on the Prince of Thieves, WB’s gripping production serves as a terrific companion for a double feature with other contemporary Boston crime sagas from Martin Scorsese’s adaptation of the Asian action trilogy Infernal Affairs with the Best Picture winner The Departed to Clint Eastwood’s existential Oscar winning thriller Mystic River or Ben Affleck’s own bleak but brilliant debut as a director as evidenced in Gone Baby Gone. Boasting a written statement by Affleck – which admittedly may have worked better as a filmed introductory footage attached to the new cut -- the staggeringly impressive high definition presentation of Affleck’s preferred version speaks volumes on its own, easily inviting fans of the original edition to view the longer release with eager eyes as if they’ve just hit play on the Charlestown saga for the first time.